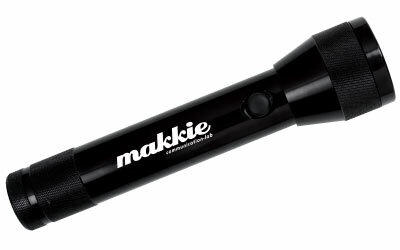 The unit prices below include your 1-color custom imprint on one side of the Large Flashlight. You may order any quantity above the minimum. Custom Large Aluminum Flashlights Personalized in Bulk. Promotional, Inexpensive. Best price in USA and Canada. Excellent Quality. Equivalent to Maglite Flashlights at half the price! With 12 LED! Bulk Large Aluminum Flashlights, custom imprinted with your logo . Budget Prices in USA and Canada for wholesale promotional Large Flashlight in bulk. American clients pay no taxes. 2 D batteries included, shipped separately. OPTIONAL INDIVIDUAL IMPRINT : We can add a different imprint such as a name, on each Aluminum Flashlight for $3.70 per item. Imprint Colors: If PMS # is not specified , we will use our stock colors: Yellow 116C, Orange 165C, Red 186C, Magenta 227C, Purple 266C, Brown 476C, Reflex Blue, Process Blue (Light Blue), Navy Blue 282C, Forest Green 342C, Black, Silver 877C, Gold 873C, Teal 320C, Burgundy 208C, Gray Cool 9C. Exact PMS Color Match: add $40.00 per match.